Home > COMET INDUSTRIES BELTS > COMET 203789 (A or DF). 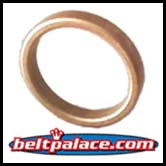 COMET INDUSTRIES BELT 40-110 > Comet 203031A Bronze Bushing for 40C Drive Clutch. 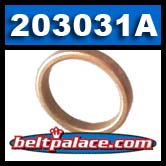 Replaces Guide Bushing for Kenbar 400-007, GTC 203031-A.